Not sure about how reading a screenplay works as a bedtime story? I tried it out and I have the full report, complete with my kids’ feedback! 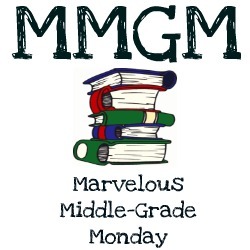 Welcome to Marvelous Middle Grade Monday. Today I’m sharing about the latest J.K. Rowling release and MG favorite, Fantastic Beasts. None of us wanted the nighttime goodness to end, so I promptly ordered the Fantastic Beasts screenplay and The Cursed Child script. When we worked through the Harry Potter series, we always finished reading the book first and then watched the movie. In the case of Fantastic Beasts, we watched the movie first. I do think that helped immensely, filling in the visuals that aren’t present when reading a screenplay. I guess we’ll find out how important seeing the movie was first when we dive into the script of The Cursed Child. Overall, I would call the adventure a success. The one major downside–it went all too fast. A two hour movie script does not compare to the entire Hogwarts school year in terms of how many nights it took us to devour the thing (just a few!). Rose-Marie Lyttle: Was it harder to listen to me reading a screenplay vs. a book? Owen: It was harder to understand, but it helped when you’d say who said something (the screen directions), it helped. Rose-Marie Lyttle: If we hadn’t seen the movie, would it have been impossible to understand? Katie Rose: I would’ve understood it, but it would be harder. Rose-Marie Lyttle: Was it better than Harry Potter book or not as good? Rose-Marie Lyttle: Did the fact that there were no kids in this book influence how much you liked it? Rose-Marie Lyttle: If someone else had written this, and it wasn’t connected with the Harry Potter world, would you still like it? Katie Rose: I liked it because it was set in the Harry Potter world. Rose-Marie Lyttle: Tell me, what was your favorite thing about Fantastic Beasts? Katie Rose: I liked the beasts. Owen: I liked the Obscurus and the beasts. Rose-Marie Lyttle: Which beasts in particular? Owen: I liked them all. The little thing that steals gold (The Niffler) and the leaf-guy stick thing (bowtruckle) the Swooping Evil. Rose-Marie Lyttle: Anything you didn’t like about the story? Rose-Marie Lyttle: How would you rate it on a scale of 1-10? Rose-Marie Lyttle: So what would HP be? Rose-Marie Lyttle: Now that you’ve read a screenplay, are you more interested in theater? Katie Rose: I really want to be a director and this taught me more terms. I’d rather read a book, but if I was directing a movie or was in a movie, I would appreciate a screenplay more than a book. Owen: It shows you where the camera would be pointing– it gives you directions. So there you have it! JK Rowling unites our family once more! Tonight we begin The Cursed Child. I’ll let you know how it goes!